In 1956 Ford experimented with a dual quad setup for their cars to be competitive with racing meets. This was a dealer option and not factory installed. In 1957 it became a factory option with some changes from the 1956 version. Shown below is a restored correct setup as supplied by Ford. Note that the Thunderbird used the same parts but turned the carburetors 180 degrees for hood clearance requirements. 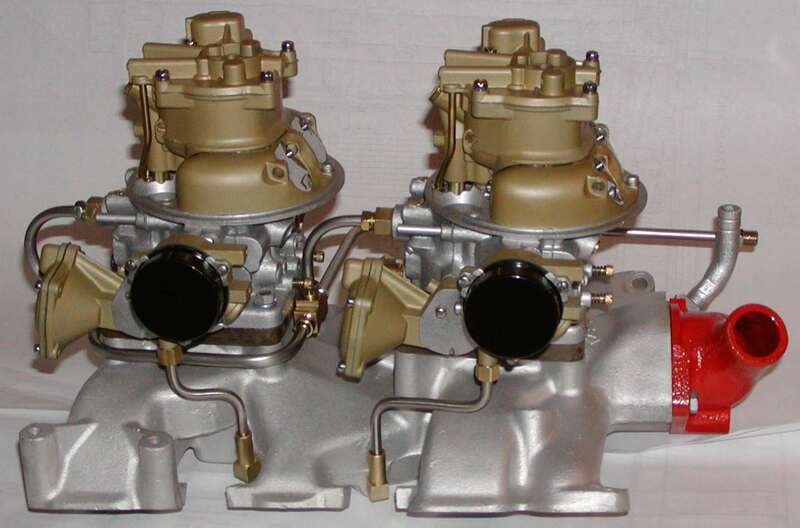 The correct carburetors were stamped ECJ 9510AA or ECJ 9510AB on the rear mounting flange, depending whether the original car was stick or automatic. 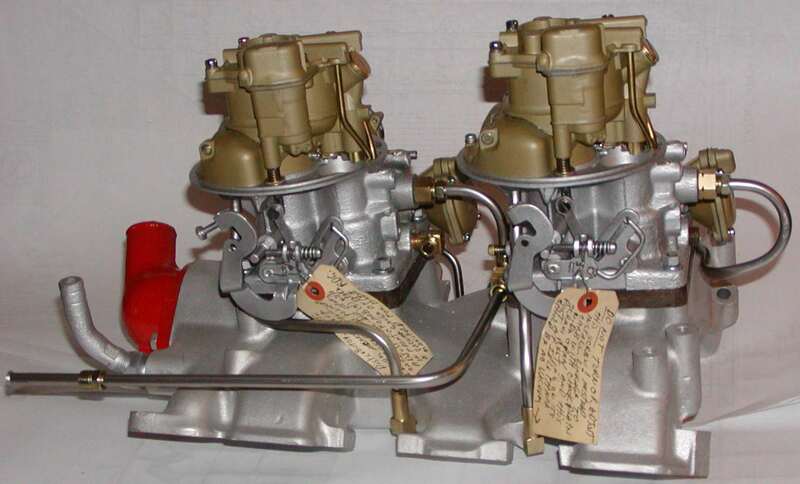 Some setups are being offered with 1956 carburetors such as the ECZ 9510 and do not work properly. Although similar in appearance, they are missing the vacuum equalizing tube that is seen on the rear of the carbs Note that there is no spark valve on the correct carbs. These are just two of the many differences.